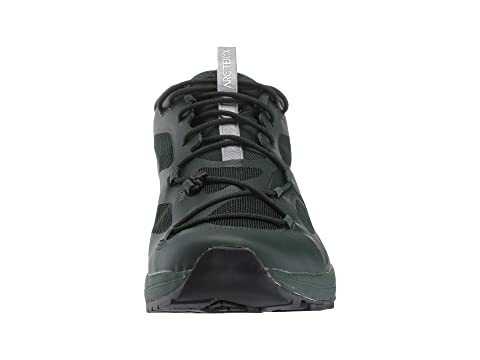 Stay steady and confident on the trail in both good and rainy weather with the Arc'teryx® Norvan VT hiking shoe. 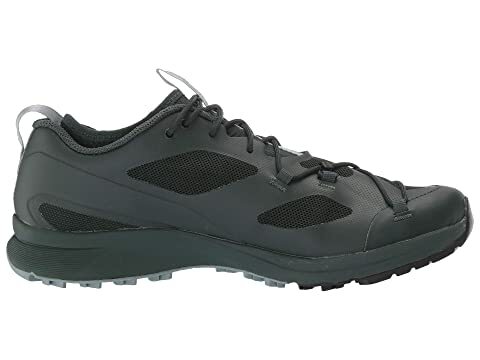 Light, durable air-permeable stretch mesh and synthetic upper forms to the foot for a secure, comfortable fit. 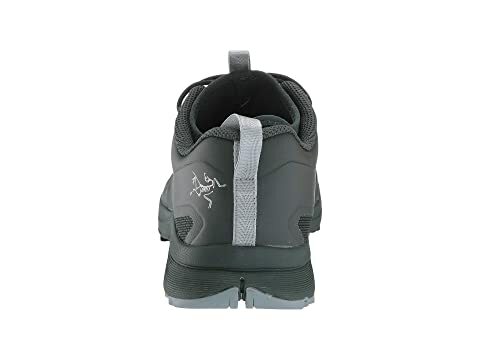 Light, rugged TPU film overlays protect the forefoot, heel and high abrasion areas. 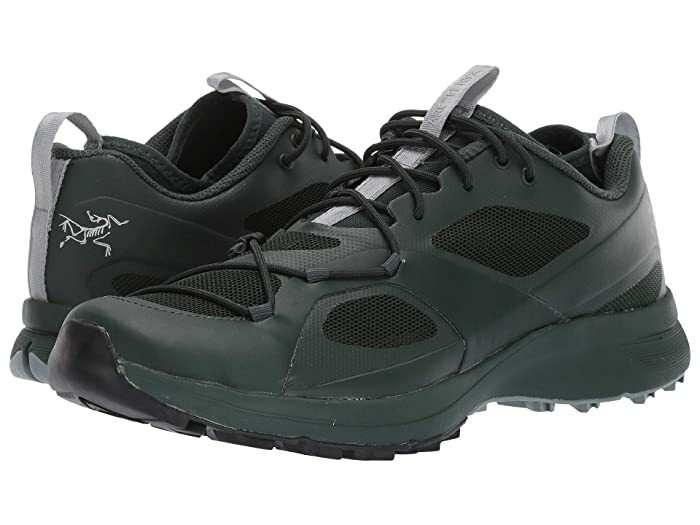 Arc'teryx Adaptive Fit features a fixed, zonal stretch liner that molds to the foot for a custom fit. Fixed Adaptive Fit Liner comfortably wraps the foot and keeps out debris. 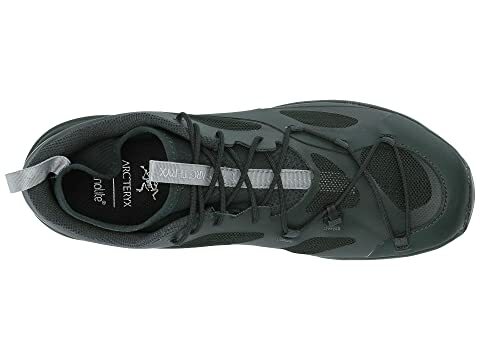 Adjustable 360° Support System instantly switches from climb mode to run mode with a single pull of the lace. Front and back pull loops. Longwearing 4mm OrthoLite™ 3D molded insert cradles the foot. 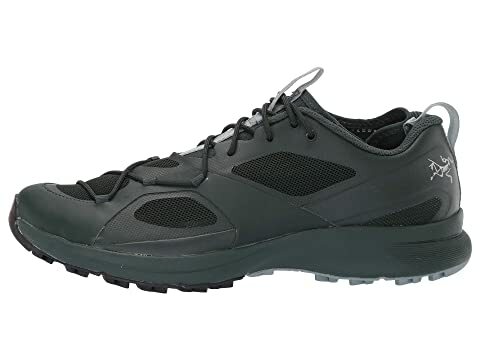 Durable EVA/Polyolefin blend midsole provides shock absorption and propulsion. 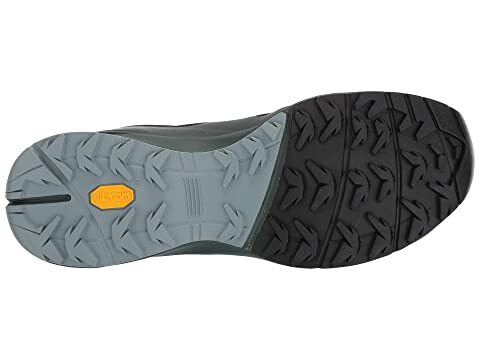 Vibram® MegaGrip® rubber approach-specific outsole features Vibram® Idogrip for a sticky climbing rubber zone and 3.5mm lugs for optimal traction and performance.